When is a strike legal? Take our quiz below and try to spot an unconstitutional strike, using potential jurors from trials in the Fifth Circuit Court District, where Doug Evans is district attorney, and the reasons given for striking them. The age of the all-white jury should have ended in the mid-1980s. And the man who was supposed to have ended it was named James Batson. Batson was arrested and charged with burglary in Louisville, Kentucky. During jury selection, the prosecution struck all the potential black jurors. Batson, an African-American, objected, claiming the prosecution was violating his constitutional right to be tried by his peers and asked the judge to dismiss the whole jury. The judge refused, and Batson was convicted by the all-white jury. Batson appealed all the way to the U.S. Supreme Court, which in 1986 issued a seminal ruling: It is unconstitutional for a lawyer to strike a juror because of race. The Batson v. Kentucky decision not only banned the use of race to exclude people from juries but also created a process through which lawyers can contest a strike made by opposing counsel. First, the objecting lawyers must tell the judge that they believe the other side struck a juror because of race. Either the prosecution or the defense can file a Batson challenge, but it's commonly a defense tactic. The judge will ask the prosecution to give a reason for the strike that is unrelated to the person's race. The judge then decides whether the state has intentionally discriminated or whether it had a legitimate reason for the strike. It is not unconstitutional to strike a black juror or even all the black jurors. It's only unconstitutional if the prosecution strikes them because of race. The Supreme Court also has ruled that it's unconstitutional to remove jurors because of gender. Otherwise prosecutors can cite any reason for rejecting a juror. If the reason seems unrelated to race or gender, it is allowed. But Batson is flawed in one critical way: The prosecution's stated reasons for striking a black juror may be just a veil for discrimination. Proving that is incredibly difficult, which is why lawyers rarely win Batson challenges. And because Batson challenges often fail, defendants can still face all white or mostly white juries. That's what happened to Curtis Flowers. Flowers' lawyers raised a number of Batson challenges during his six trials; the overwhelming majority of them were rejected. In fact, only 11 of the 72 jurors — 15 percent — in Flowers' trials were black. 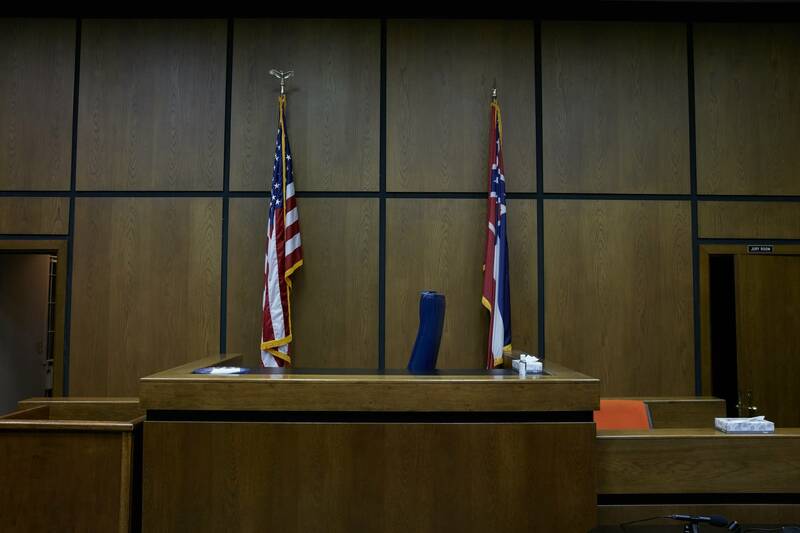 In 2007, the Mississippi Supreme Court overturned Flowers' third conviction, writing that Doug Evans' juror strikes presented "as strong a ... case of racial discrimination as we have ever seen in the context of a Batson challenge." In the appeal of Flowers' latest conviction, defense lawyers again argued that Evans had excluded jurors because of race. In November 2017, the Mississippi Supreme Court upheld Flowers' latest conviction and rejected his defense team's Batson claims.